Voters have two Republicans and one Democrat to choose from in the upcoming District 65 state House of Representatives primary. House District 65 voters will have several options for state representative with a contested Republican primary and one Democrat on the primary ballot. The district incorporates all of Fairview, pieces of Thompson’s Station and Franklin, and the Williamson County portion of Spring Hill. Voters have two locations to early vote starting today – the Election Commission Office located at 1320 West Main Street in Franklin, and the Brentwood Library located at 8109 Concord Road in Brentwood. Hours will be from 8 a.m. to 6 p.m. on weekdays and Saturdays from 8 a.m. to noon. The polls will be closed on Sundays. Voters have two options on the Republican ticket along with one option on the Democratic side. Embattled Rep. Jeremy Durham has had a tumultuous year both in and outside of the legislature and has suspended his campaign. Durham made the suspension announcement Thursday on the heels of an attorney general investigation that quoted 22 anonymous women. The women, identified as staff members, lobbyists, colleagues and interns, were interviewed in the course of an attorney general investigation of flirtation, lewd behavior, sexual contact, inappropriate comments and other claims against Durham. In a small press conference on Thursday, Durham denied sexual contact with any women and said only a fraction of what was in the report was true. Despite the suspension of his campaign, Durham’s name will still appear on the primary ballot. Inside the legislature this session and apart from the allegations, Durham pushed forward legislation on several immigration issues and agreed with the repeal of the Hall Income Tax along with the rest of the Williamson delegation. He sponsored dozens of bills, and has contended he writes legislation that will cut “the red tape” off of the business community. Durham has repeatedly said he would continue to fight against any Medicaid expansion in the state, and earlier this year, he pushed the issue of Insure Tennessee to summer study rather than allow it to go on the ballot for referendum in November. He’s held his seat since 2012 and was re-elected in 2014. When he’s not in the legislature, Durham is an attorney, and lives in Franklin with his wife, Jessica. Durham’s legislative actions have been overshadowed by allegations and questions about his conduct from both the media and Republican leaders since January. The whole question of Durham having behaved inappropriately while in the legislature came from an investigation begun by The Tennessean after three women came forward with text messages they say Durham sent to them. He repeatedly denied ever sending them, and had asked The Tennessean to see the messages. On Jan. 24, Durham stepped down from his leadership position in the GOP caucus at the request of Republican leadership. The move came after a prescription drug incident involving Durham came to the surface, which a Williamson County grand jury didn’t indict him on in 2013. Following that announcement, House Speaker Beth Harwell called for his resignation. In that same week, Durham decided to take a leave of absence from the legislature and step away from the caucus entirely. Harwell asked the attorney general to open an investigation into the allegations. Then on Feb. 4, Harwell announced the creation of a special ad hoc committee to lead the investigation. It formally met for the first time on Feb. 8 and gave the attorney general the full authorization for the investigation. On April 6, Attorney General Herbert Slatery released a preliminary report. In it, he deemed Durham as “an ongoing risk to unsuspecting women.” Harwell also moved Durham’s office out of the Legislative Plaza and into the Rachel Jackson building. In terms of his re-election bid, Durham was out-paced by both of his challengers in fundraising efforts, only raising a little bit shy of $17,000. However, he still has $122,000 total in his election fund. The audit and investigation of Durham’s campaign finance account date from 2014 through the current filings for his 2016 campaign. Franklin’s Republican Sam Whitson will run against Durham on the primary ballot on Aug. 4. 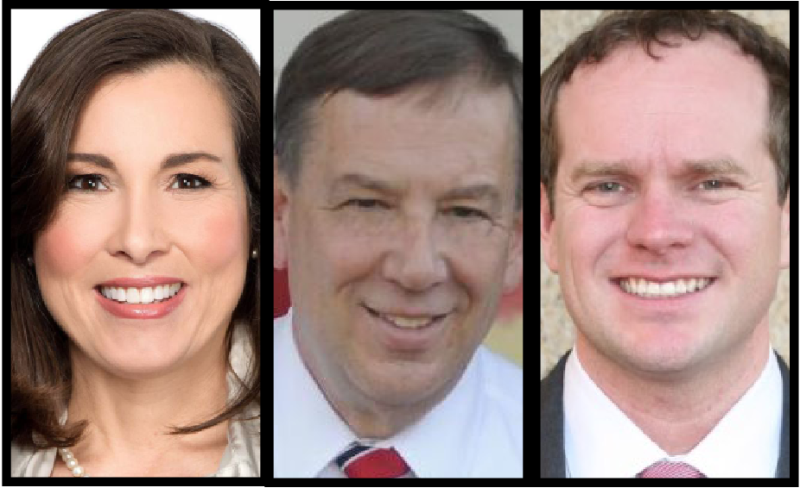 With regards to this week’s findings and the allegations against his opponent, Whitson has stayed out of the political crosshairs, and has largely focused on his campaign. While he’s never run for political office before, Whitson has been active in civic life in Franklin and across Williamson County. He is involved in battlefield and historic preservation, serves as chairman of the City of Franklin Battlefield Preservation Commission and is a past chairman of the Carter House State Historic Site. He led and organized the highly successful 2014 campaign to remount the four Civil War-era cannons on Franklin’s Public Square. Whitson also helped create the Carter Hill Battlefield Park on Columbia Avenue as secretary of Franklin’s Charge, a volunteer battlefield reclamation group, and served as foreman of the Williamson County Grand Jury from 2012 to 2013. Whitson has been a fixture in the Franklin community through the First United Methodist Church, the Williamson County Republican Party, Veterans of Foreign Wars and many other civic and charitable organizations. He also served in the U.S. Army for 26 years and has degrees from Middle Tennessee State University and the University of Oklahoma. During his time in the military, Whitson earned several honors, including the Legion of Merit, a Bronze Star, and Global War on Terrorism Service Medal, for his service in Operation Desert Shield and Desert Storm among other theaters. He and his wife Pam live in Franklin with their children and grandchildren. He has said repeatedly over the course of several months he would like to focus on issues of traffic in the county and maintaining the quality of life within the district. This past quarter, he raised nearly $28,000. His largest contributor came from STAND PAC of Tennessee, and a handful of other Franklin residents donated to his campaign. Franklinite Holly McCall will take on the winner of the Aug. 4 primary in November, but those who want the option of a Democratic candidate will have just one on the primary ballot. McCall raised more money than the other two candidates in her district, and had the second highest amount in Williamson County this last quarter. She is a part of a movement with other women across Tennessee who are running for state House positions. The legislature is currently about 17-percent female, making it one of the most male-dominated legislatures in the country. She graduated from Franklin High School and attended the University of Tennessee, earning her political science degree. McCall owns her own public relations company and previously worked as the marketing and communications director for Metro Nashville. While there, she focused on the Music City Center and infrastructure through the Metro Transit Authority. Previously, she worked as a journalist and covered government in Tennessee, Missouri and Ohio. If elected, the Franklin native said she would primarily focus on issues of traffic. Working for the Nashville Metropolitan Transit Authority in her professional career, McCall said she has the perspective of working on transportation on the inside. Using that experience, she wants to focus on making getting around Williamson County one of her top priorities as a representative. McCall said she aims to find a solution for the Balanced Education Program, or BEP which is the formula used to fund the state’s public school districts, to better serve both school districts within District 65. On the issue of the findings and suspension of the Durham campaign, McCall has said she wants to focus on her own campaign and let the primary play out.